The unity of two souls is regarded as the completion of their love. A bond of strong emotions is tied in the interplay of closeness and distance – a unique liaison is formed. 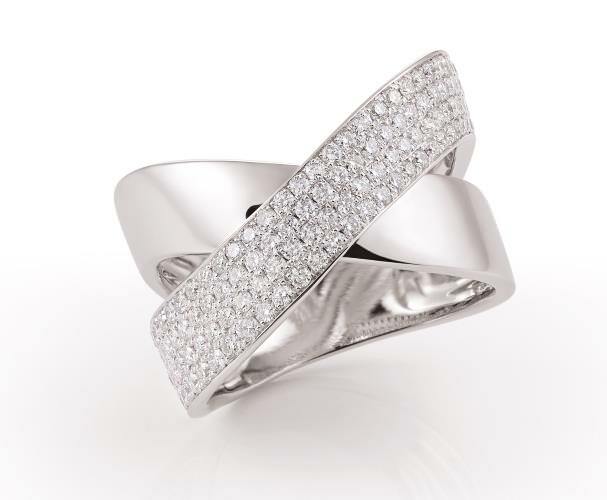 The fusion of this wonderful unity inspired the Italian traditional manufacturer Al Coro to create its new statement rings of the popular jewelry line Serenata. These fine eye catchers captivate by their bold design. Intertwined, high-grade gold bands create a unique play of forms. The look of these rings is rounded off with a decoration with white brilliants that are lovely strung together; and they complete the extraordinary beauty of these precious items. Al Coro leaves the choice up to the wearer whether to have a discreet line of sparkling diamonds or a glamourous pave setting. In addition, these smart statements impress either in rose or white gold, and they surely attract attention par excellence with their extravagant charm!